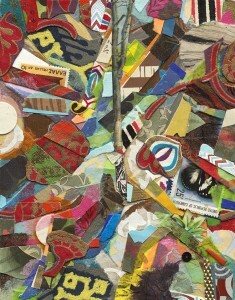 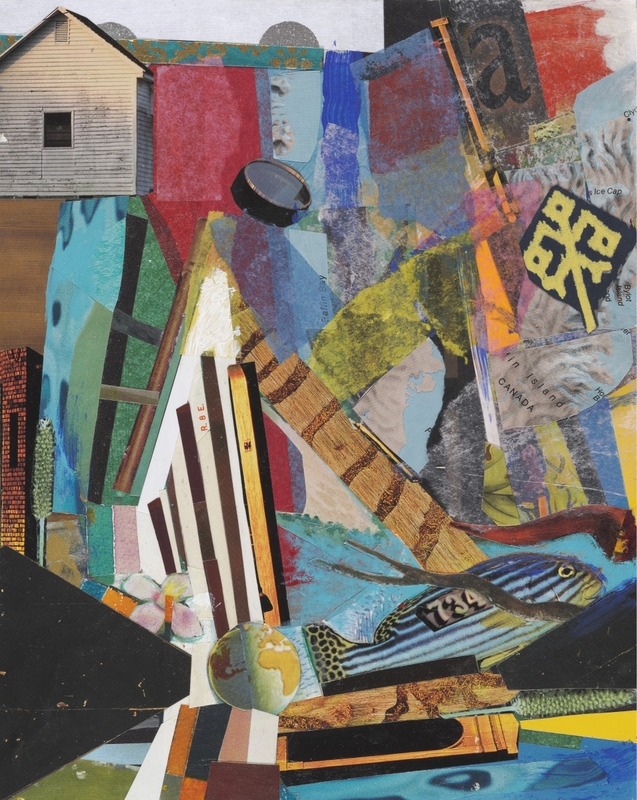 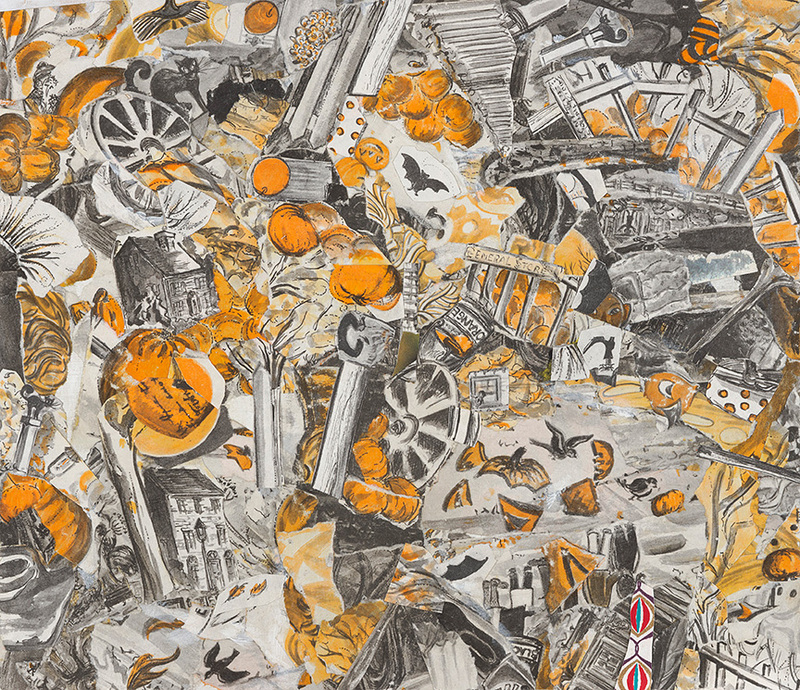 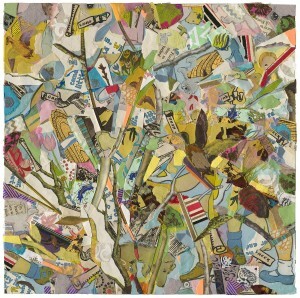 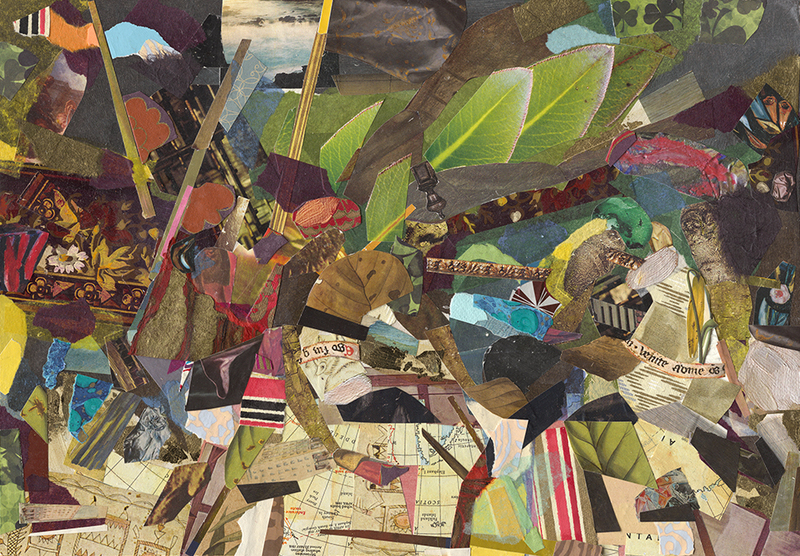 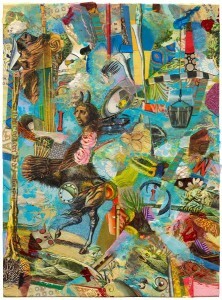 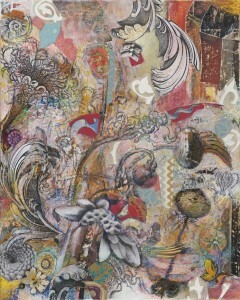 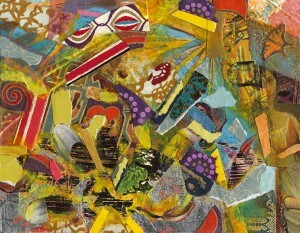 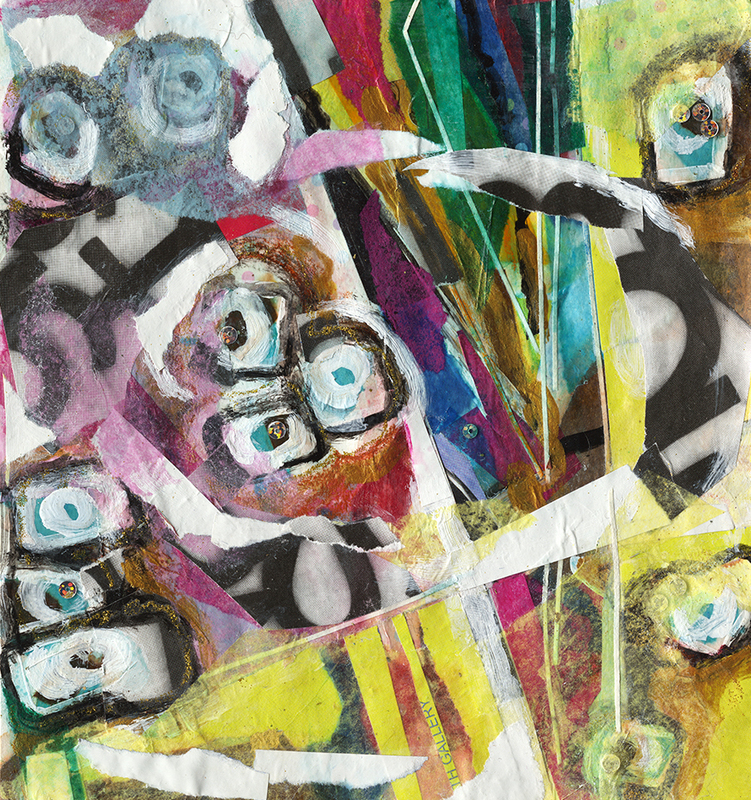 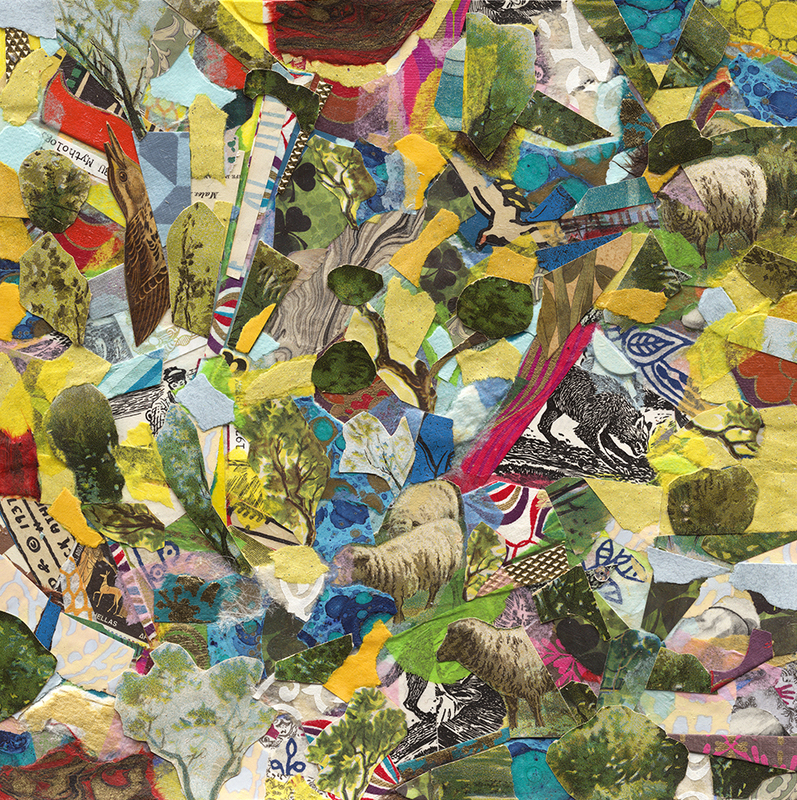 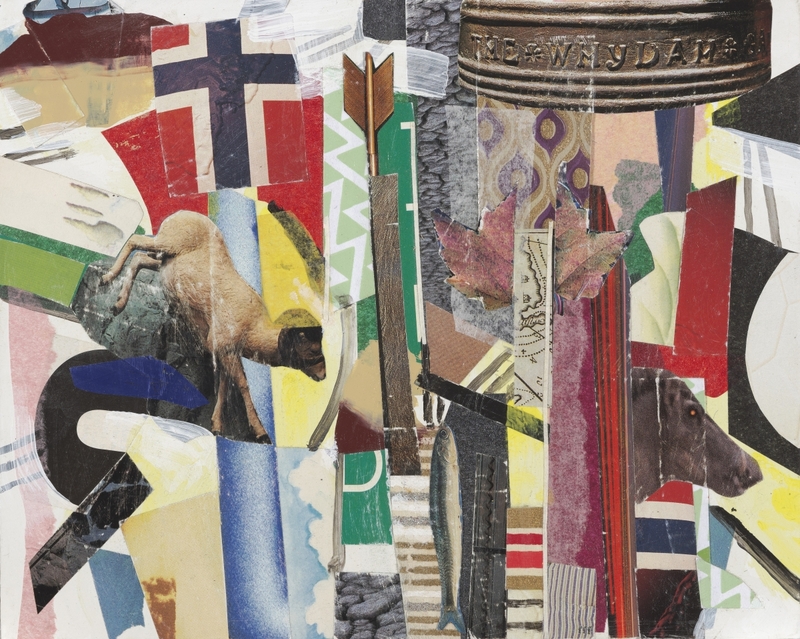 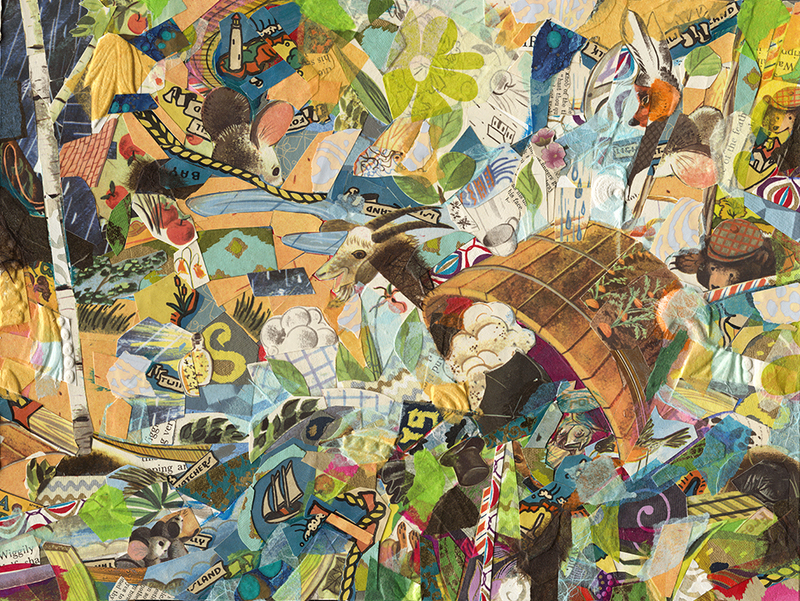 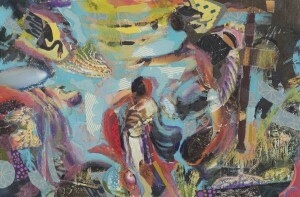 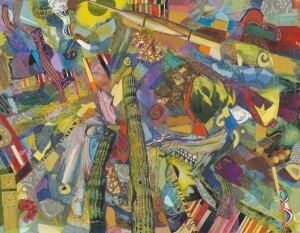 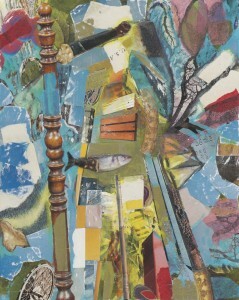 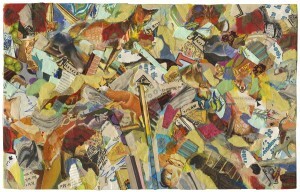 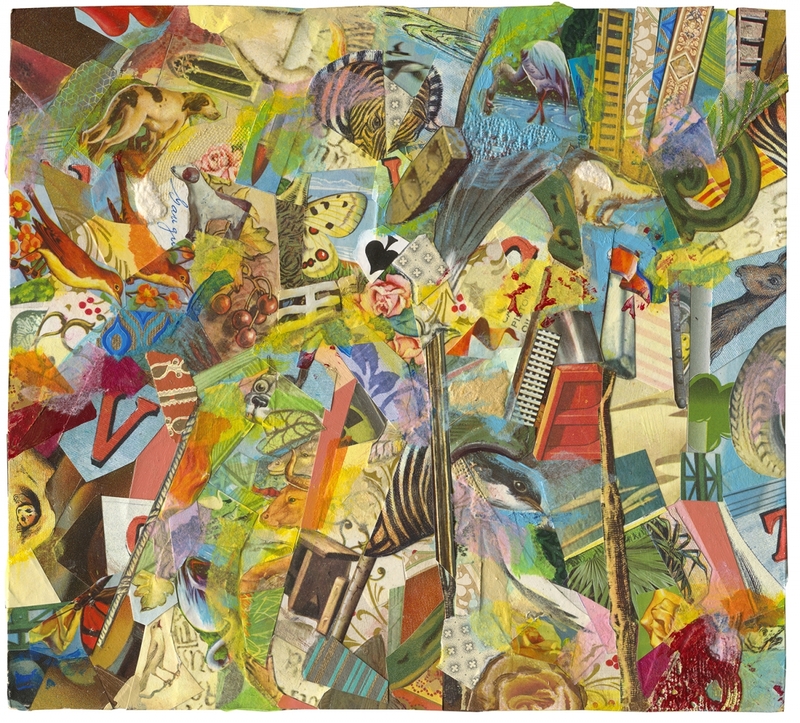 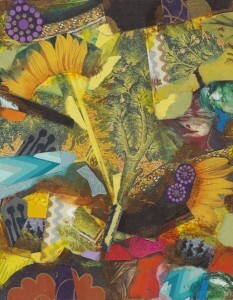 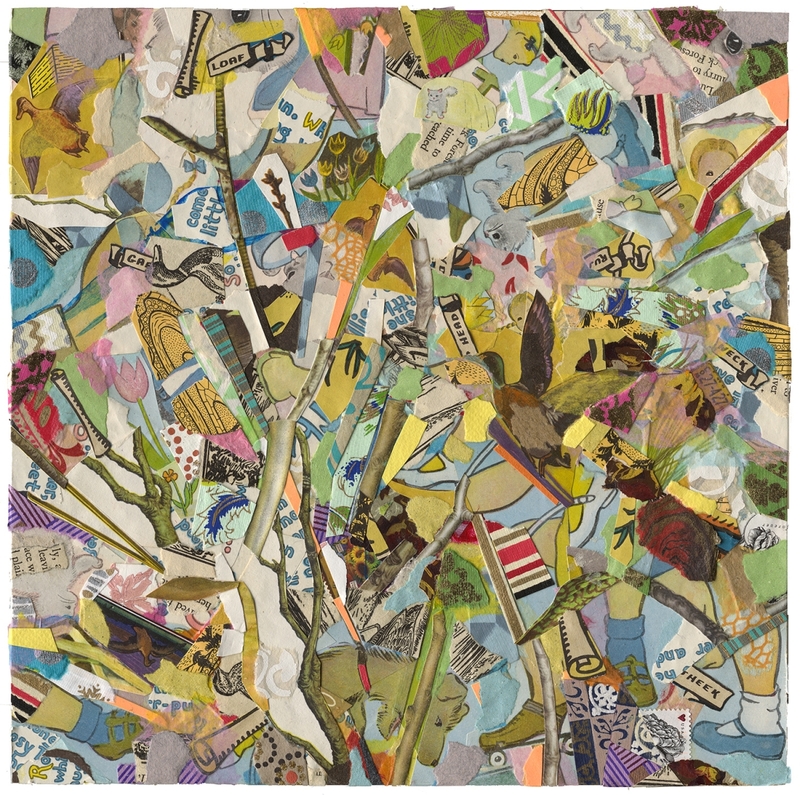 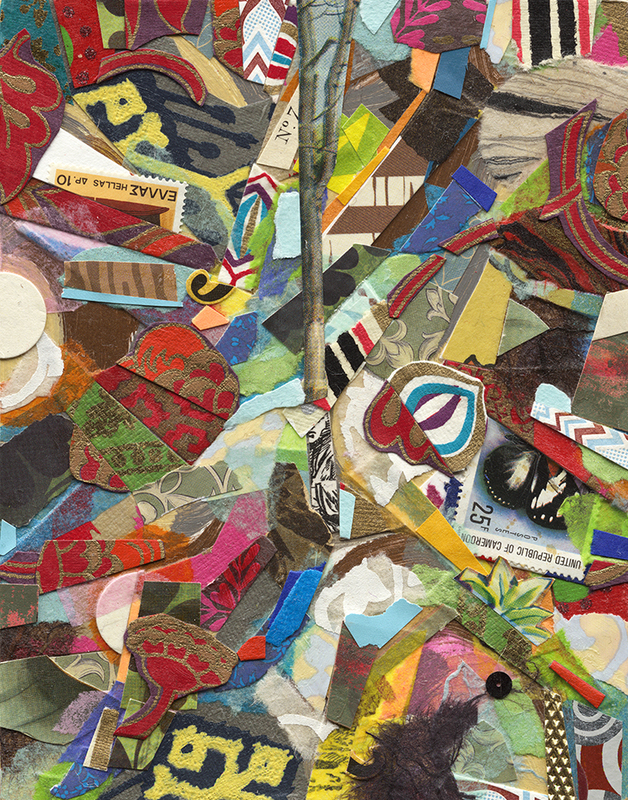 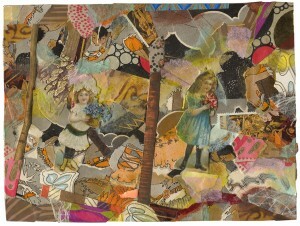 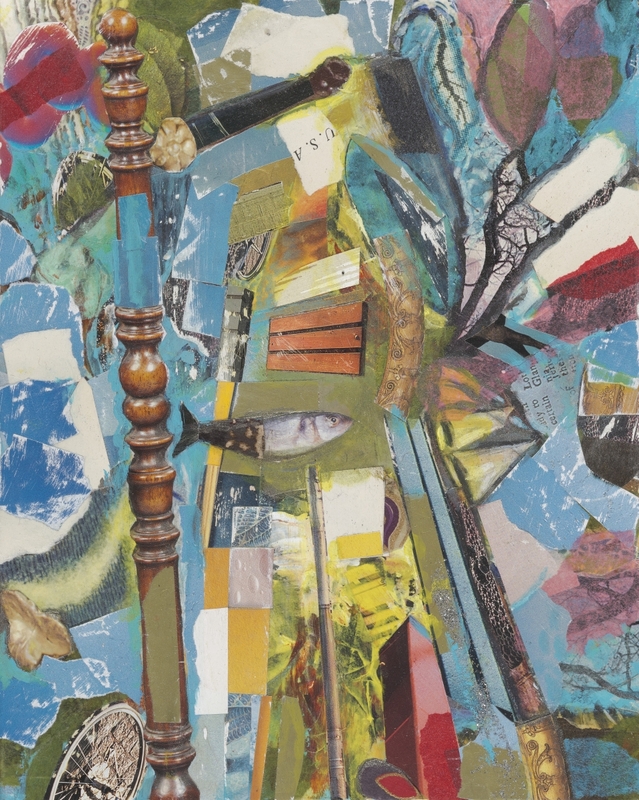 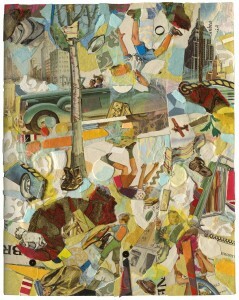 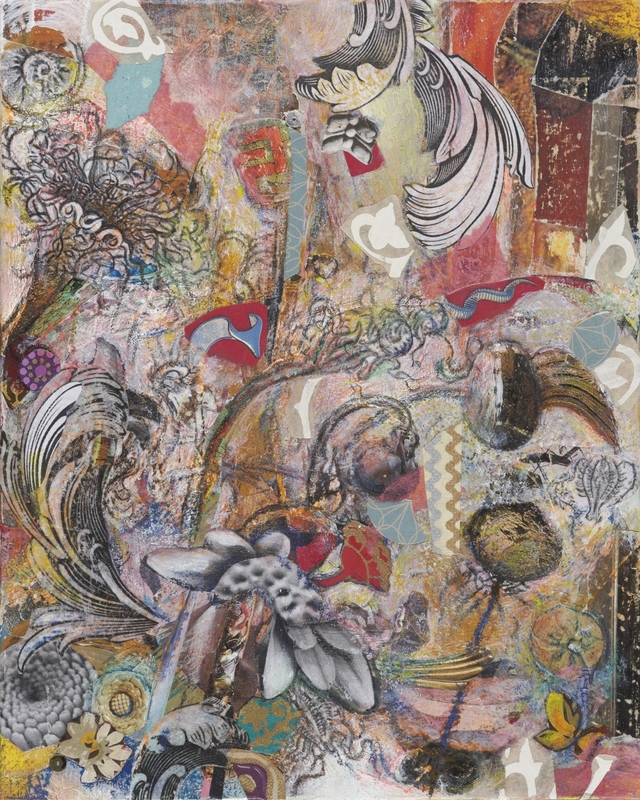 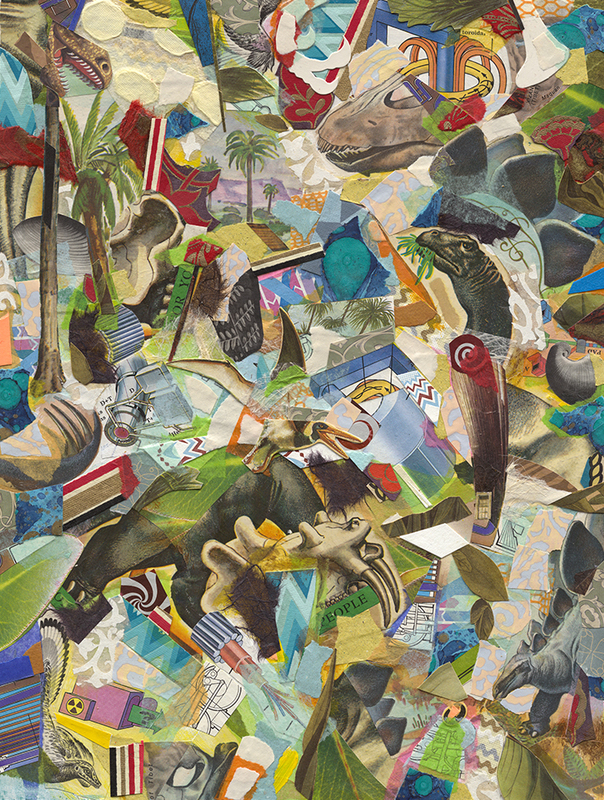 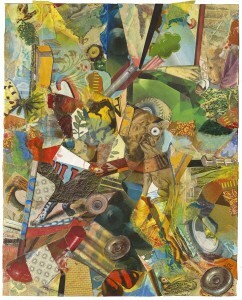 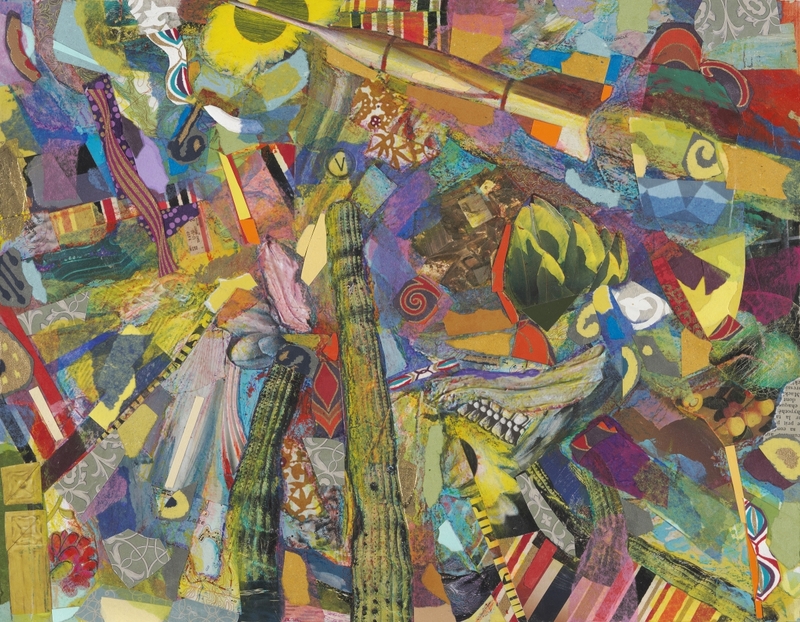 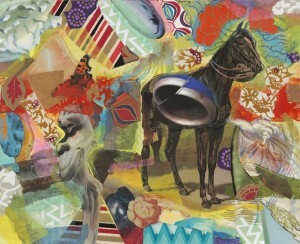 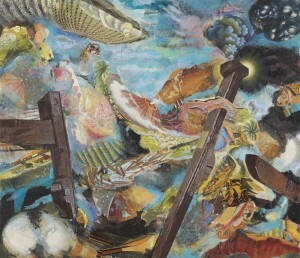 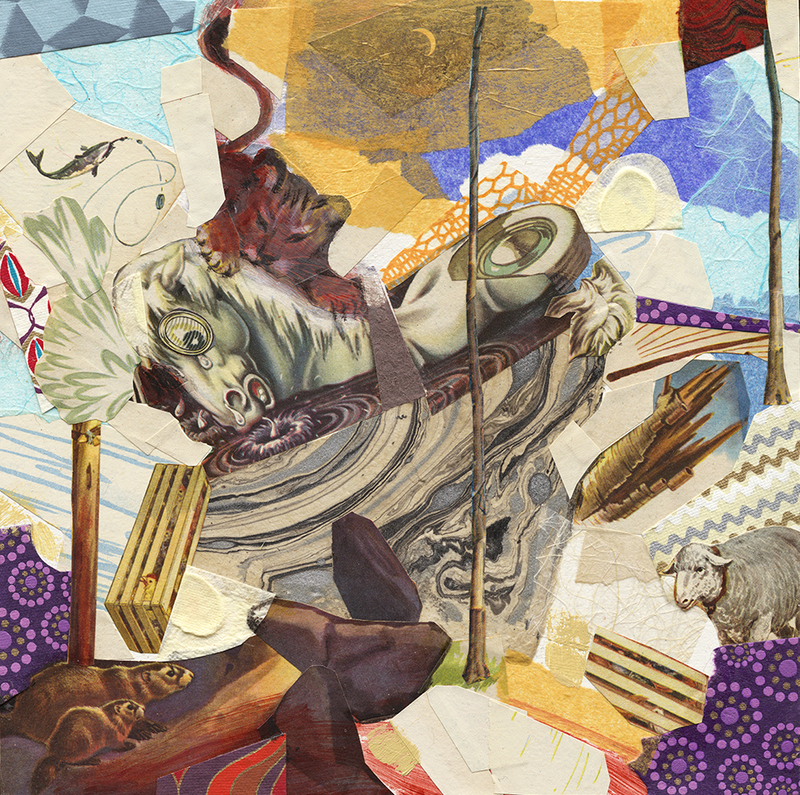 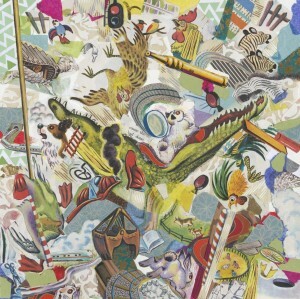 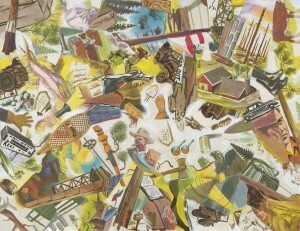 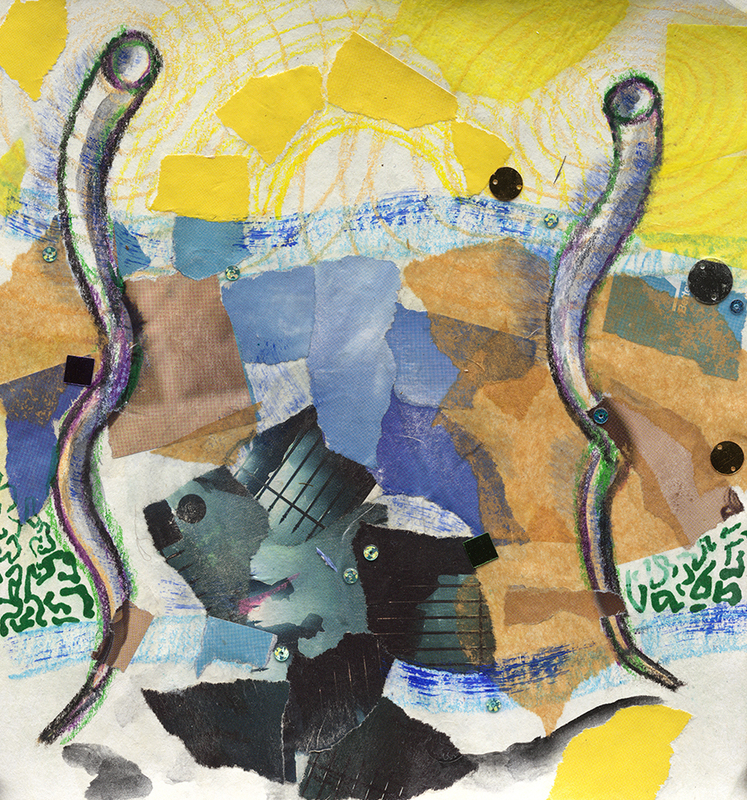 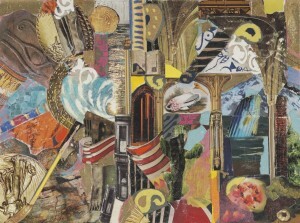 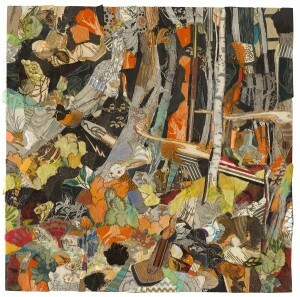 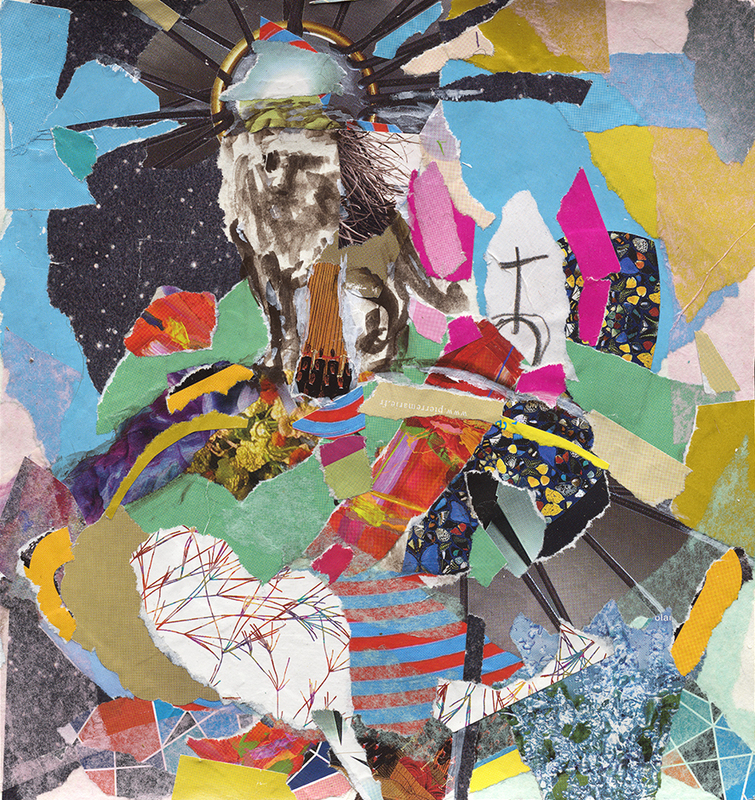 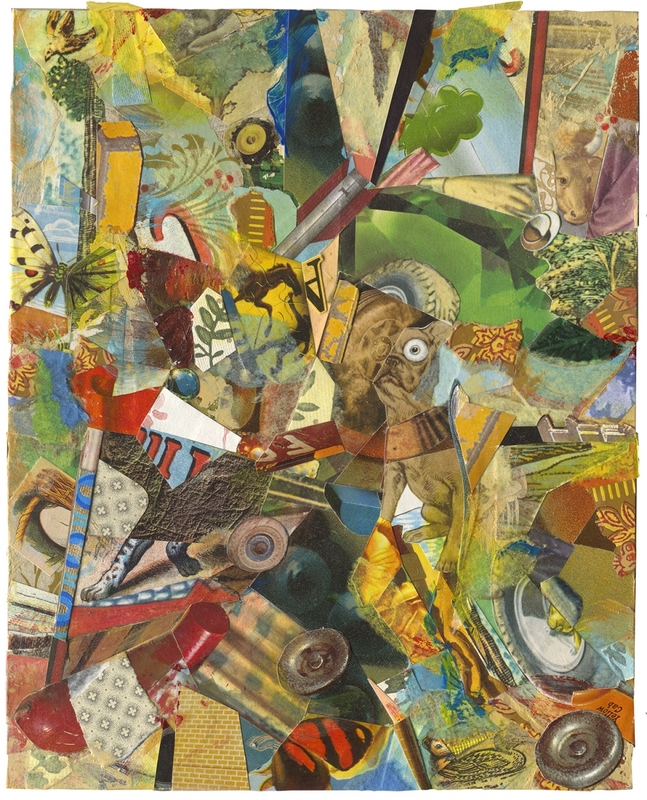 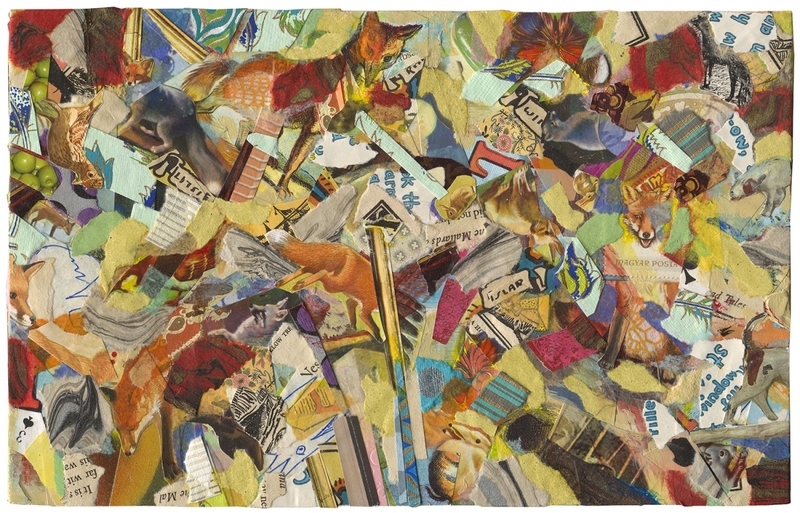 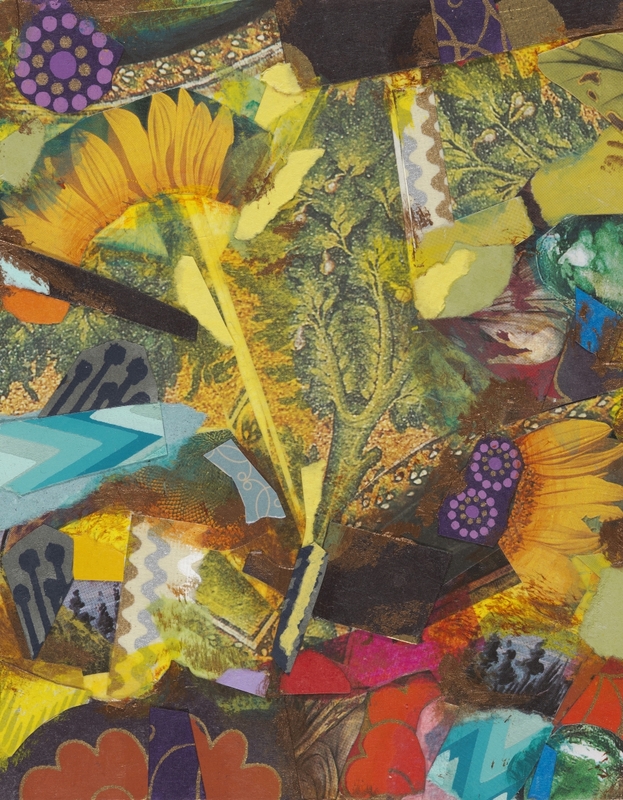 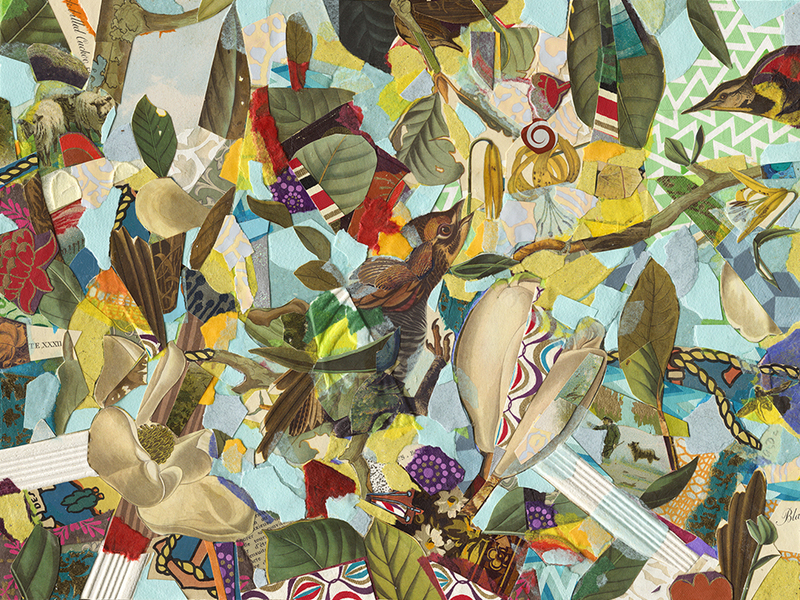 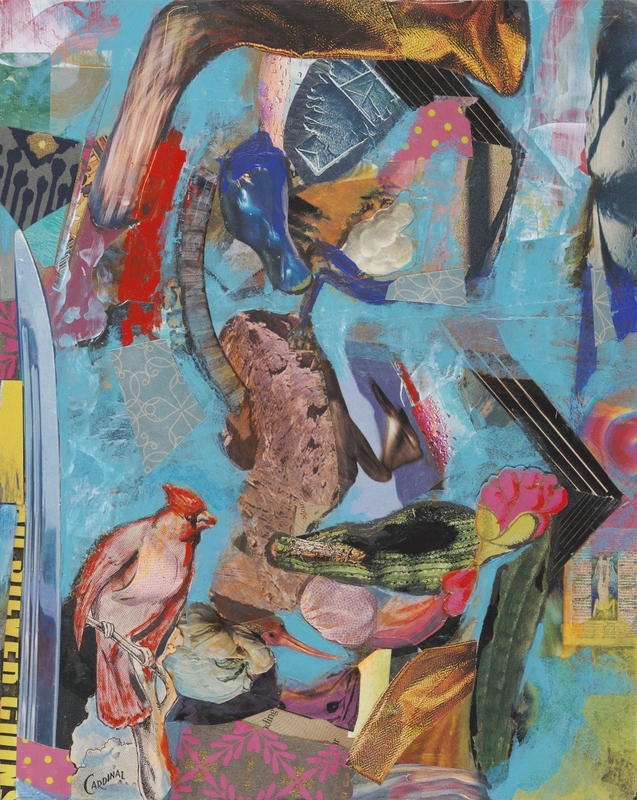 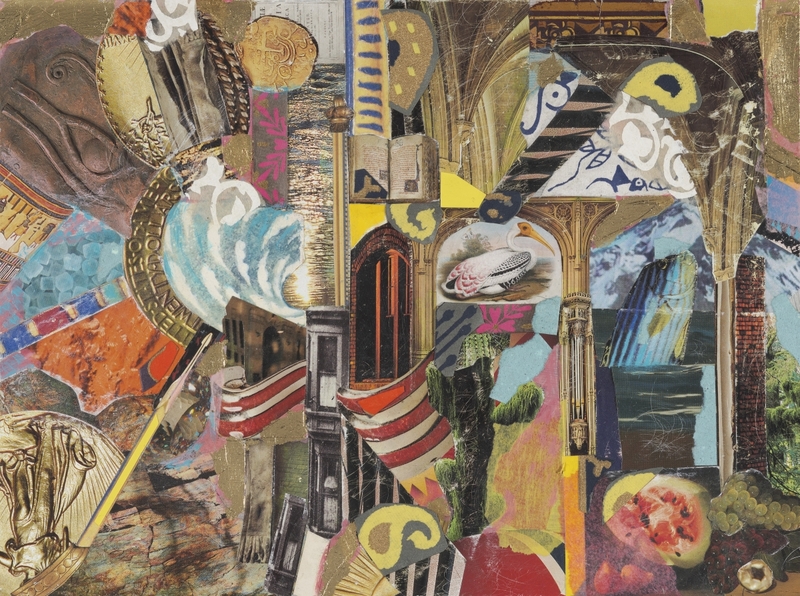 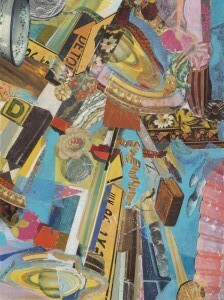 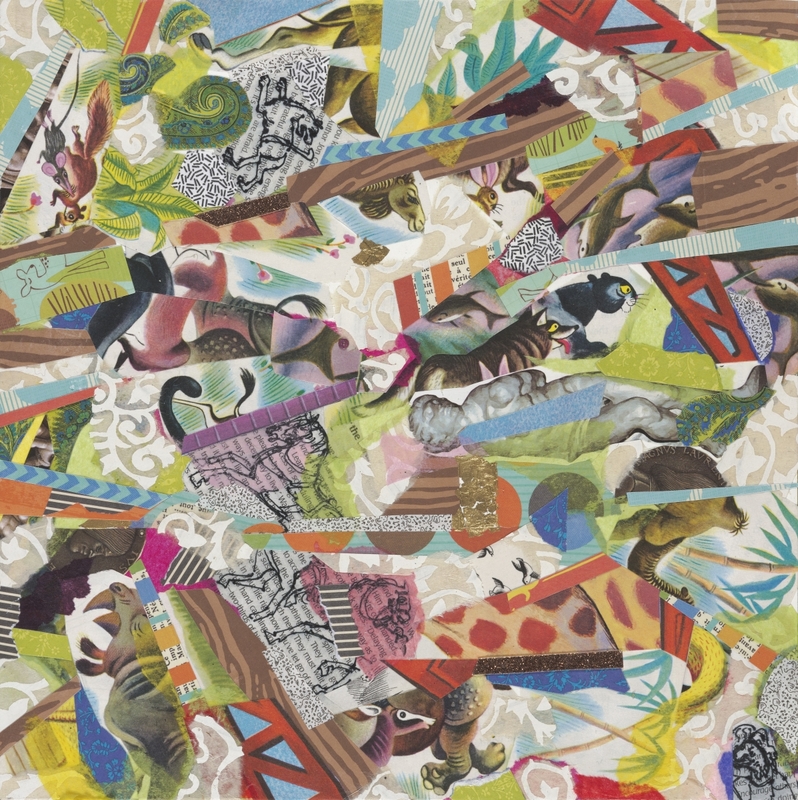 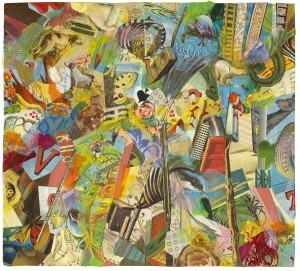 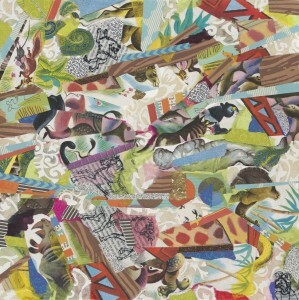 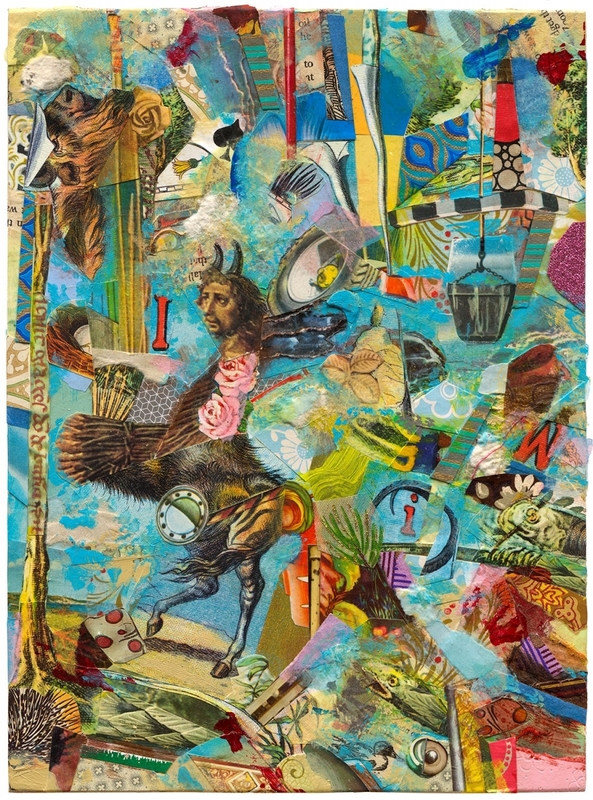 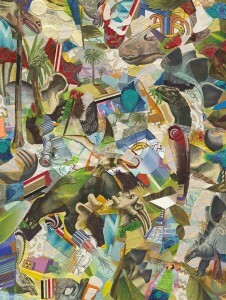 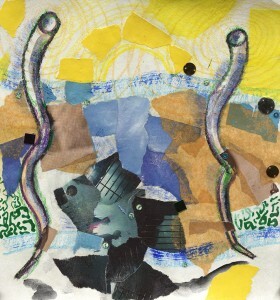 The very process of collage produces fractured or surreal imagery. 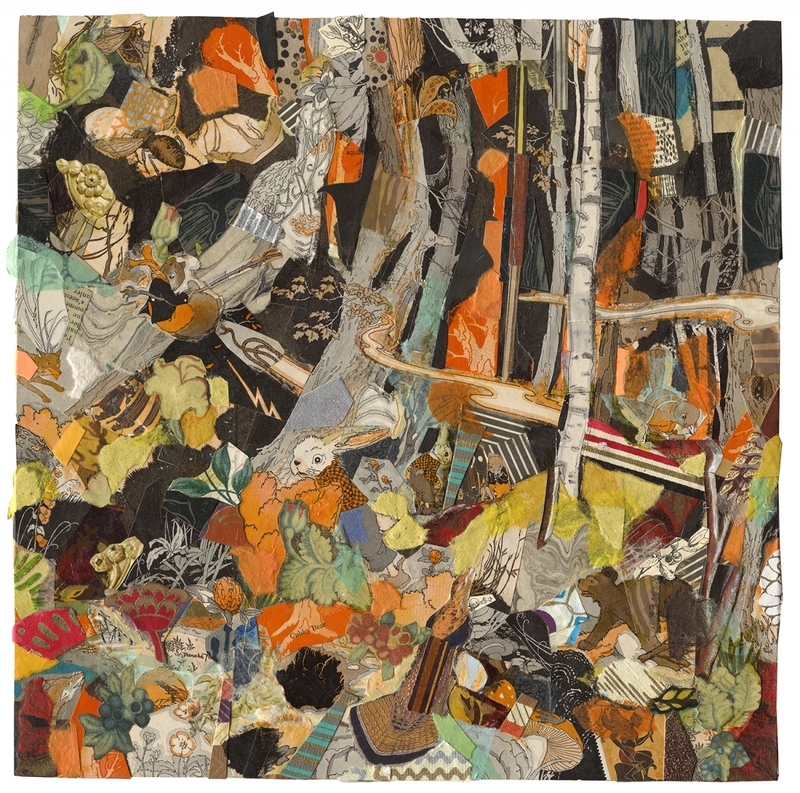 Pamela M. Parsons repurposes diverse graphic matter, juxtaposing color and image to create new intricate designs and off-beat narratives. 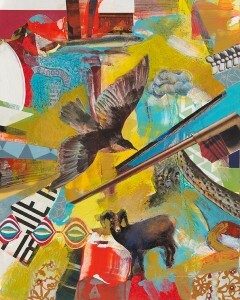 The fresh body of work produced is delightfully innovative, energetic, and decidedly contemporary. From tiny fragments of our own visual history–from scientific diagrams, travel magazines, outdated school texts, and illustrated children’s books, to old foxed lithographs, discarded maps, and collected decorative paper scraps—a little Americana is revealed.